The lab celebrated new paper acceptances with a pub crawl of Brisbane's finest establishments in West End on Friday. Congratulations to everyone in the Inflammasome Lab, and to our wonderful overseas collaborators! 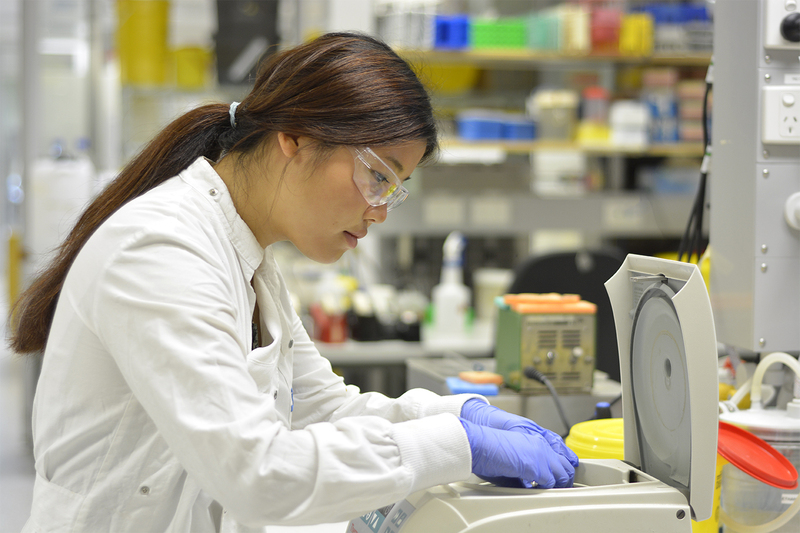 This week, Kate Schroder is looking forward to warming up Melbourne with the Inflammasome Lab's latest research at the Immunology Group of Victoria's Annual Winter Seminar. This month we farewell Damiën Bierschenk, who leaves the Inflammasome Lab for Sweden after submitting his PhD thesis. 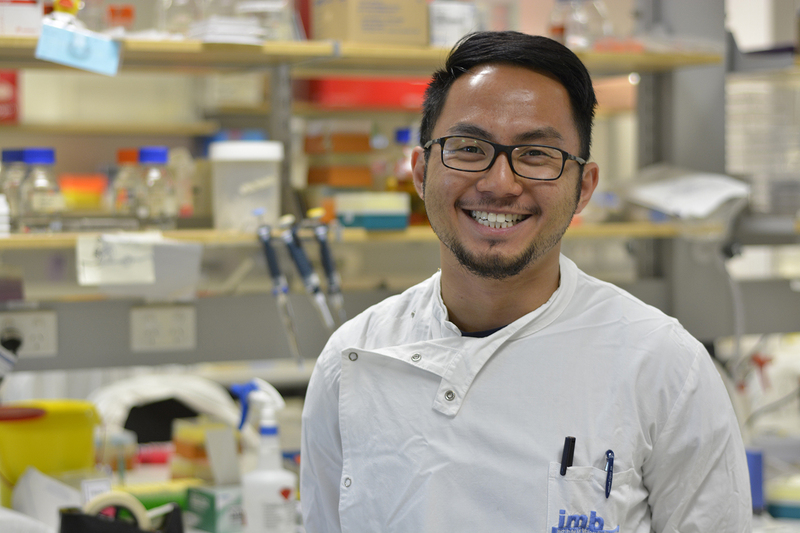 This month we said farewell to Kaiwen Chen, who leaves the Inflammasome Lab for an exciting Postdoctoral position in Petr Broz's Lab in Switzerland, and Jennifer (Cookie) Dou who is embarking on an exciting new career in animation. 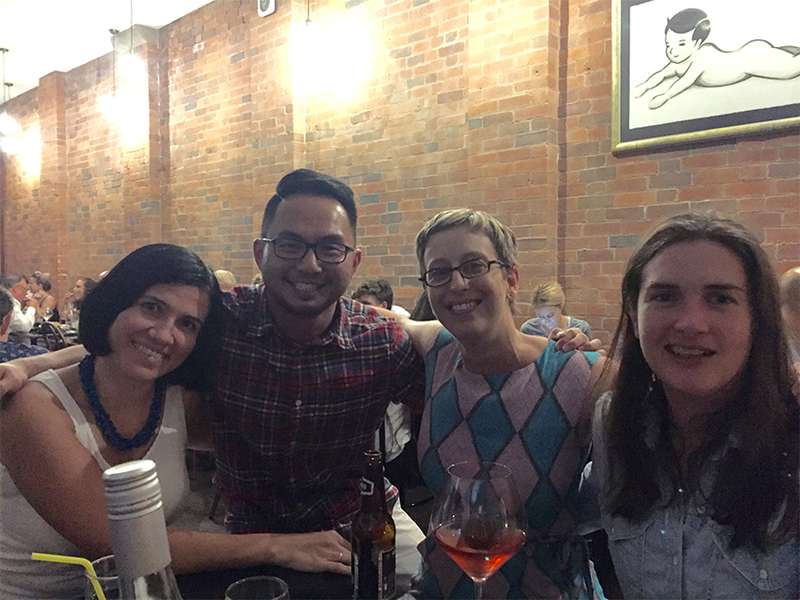 This week, the Inflammasome Lab went for a three day retreat to Montville. The first morning we discussed our big ideas for exciting future projects and technologies, and walked the beautiful rainforest circuit at Mary Cairncross Scenic Reserve. 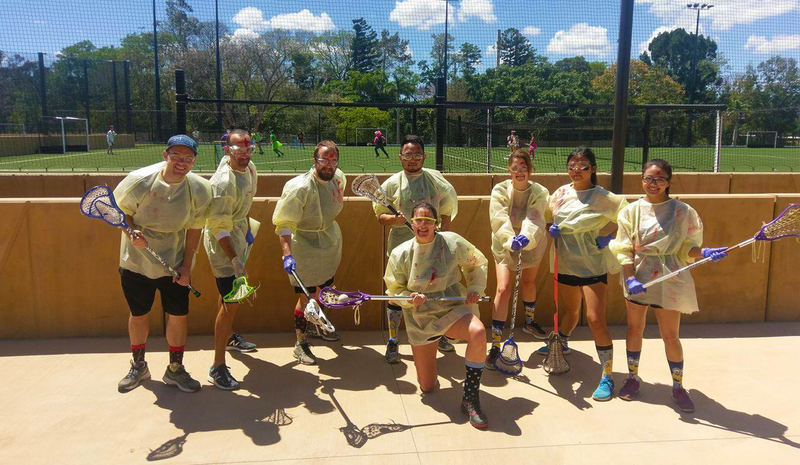 Last weekend the Inflammasome Lab lacrosse team performed in The University of Queensland Lacrosse Club's Halloween Tournament, held on UQ's brand new synthetic turf fields. Last week, the Inflammasome Lab went to Byron Bay for a three day retreat. The first two days we workshopped scientific writing techniques, future publications, career development and exciting new research ideas.